Yay! Who doesn’t love a cute couple and puppies in an engagement session? Shannon & David’s wedding is coming up this August and we got together with them in Hawrelak Park to photograph their engagement session. 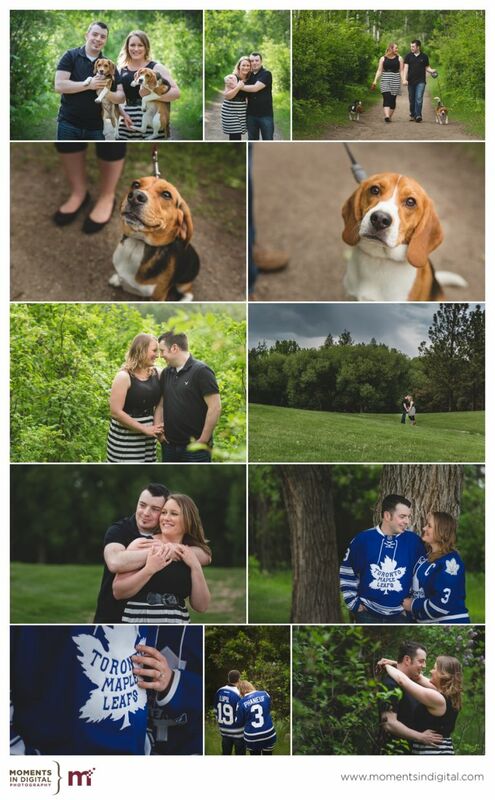 Shannon and David brought alongÂ their two beagle puppies Copper & Maple who joined in on part of the shoot. Aren’t theyÂ adorable? Being puppies their attention spans didn’t last long before they were ready to take off so we asked Shannon and David to pickÂ them for a few photographs. Fortunately Shannon brought along a lint brush and saved us some extra Photoshop for the rest of their session. Shannon and David are also Toronto Maple Leaf fans and brought their jerseys for a few fun shots but we didn’t hold being Leafs fans against them. 😉 We did notice that Shannon was wearing the “C” so David has definitely been trained well and knows who leads the team in their relationship – smart man David! 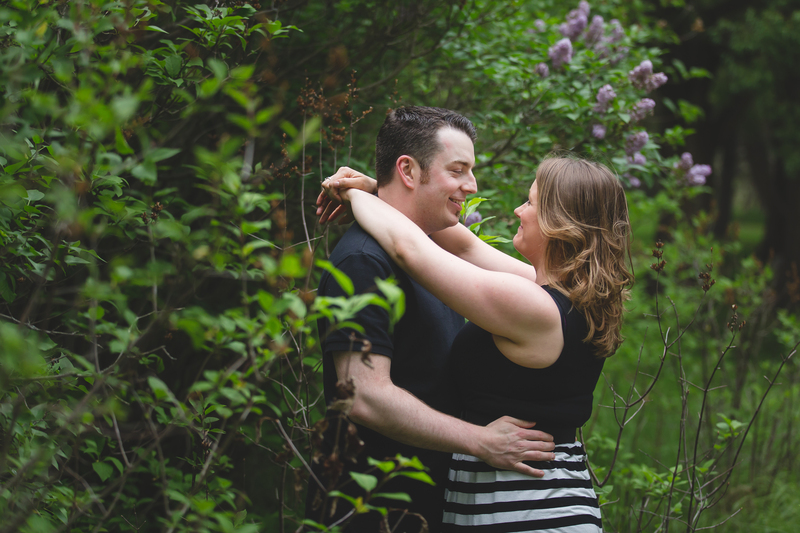 Enjoy your sneak peek and we can’t wait to photograph your wedding thisÂ August in Edmonton.